Oh my goodness, life has been so crazy lately! Between house projects, school activities, sports, beautiful weather (getting us outside) and work – there has barely been time to breathe! So, I apologize, I am late in announcing my beautiful new collection to you all – but don’t worry – it’s still on sale! The Sold Mini Collection was inspired by the craze that is patterned leggings (and skirts and tops and more), finding the perfect print or pattern and replacing your entire wardrobe with buttery soft comfort! Filled with bright colors, bold patterns and tons of fun elements, this kit can be use to scrap all about your addiction! This kit includes several elements specific to shopping along with all of the amazing traditional elements you need to scrap all of your memories! Seriously, you guys, I have been OBSESSED with these leggings! I haven’t felt as stylish and comfortable as I do when I wear them in a long time. I have spent countless hours shopping for them, finding the perfect patterns (and then searching for matching tops….)! I get complimented on my leggings all the time, and that makes me feel good about myself. Feeling good about myself makes me happy, which makes my family happy – which means we’re winning all around and THAT my friends, is amazing! But, back to the kit! Bright, cheerful and oh so fun! This is a mini-collection, so there is only one add on – some fun pocket cards! 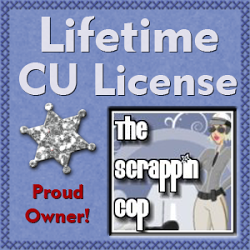 And, I have them bundled together with a BONUS Free With Purchase Alpha! The Skribblers had some fun with this one! 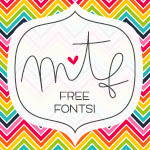 And I also have a coordinating freebie for you to enjoy! Thanks so much for the adorable frame cluster!